WASHINGTON: The Milky Way contains at least 17 billion planets the size of Earth, and likely many more, according to a study out on Monday that raises the chances of discovering a sister planet to ours. Astronomers using NASA's Kepler spacecraft found that about 17 percent of stars in our galaxy have a planet about the size of Earth in a close orbit. The Milky Way is known to host about 100 billion stars, meaning that about one of every six has an Earth-sized planet around it. The finding does not mean that all those planets beyond our solar system, or exoplanets, could be habitable, though it increases the chances of finding planets similar to Earth. In order to host life, and allow water to flow in liquid form, a planet must be at a distance from its star that allows surface temperatures to be neither too hot nor too cold. The Kepler craft detected possible exoplanets when they passed in front of their star, creating a mini-eclipse that dims the star slightly. During the first 16 months of the survey, Kepler identified about 2,400 candidates. Francois Fressin, of the Harvard-Smithsonian Center for Astrophysics, and his colleagues used the results to determine which signals were true and to list the exoplanets by size. They found that 17 percent of stars have a planet 0.8 to 1.25 times the size of Earth in an orbit of 85 days or less. About a fourth of stars have a super Earth (1.25 to twice the size of Earth) in an orbit of 150 days or less, with a same fraction having a mini Neptune (two to four times Earth) in orbits up to 250 days long. Larger planets are a much rarer occurrence. Only about three percent of stars have a large Neptune (four to six times Earth) and only five percent have a gas giant (six to 22 times Earth) in an orbit of 400 days or less. The researchers presented the analysis at a meeting of the American Astronomical Society in Long Beach, California. 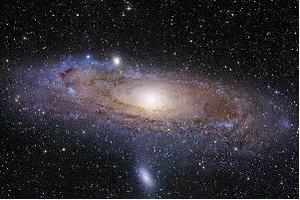 Separately, NASA's Kepler mission announced it had discovered 461 new possible planets. Four of them are less than twice the size of Earth and orbit their sun's "habitable zone," where liquid water might exist on the planet's surface and thus make life possible. The findings, based on observations conducted from May 2009 to March 2011, showed the number of smaller-size planet candidates and the number of stars with more than one candidate steadily rising.